"I spend most of my time doing something creative, whether it be playing music in my band Goodnight Astor, singing songs about Harry Potter with my Wizard Rock group, baking cupcakes or, of course, designing, creating and making all sorts of things with Goodnight Boutique." Get to know Laura in our interview below. When did you first start designing jewelry? What inspired you to turn it into a business? As a kid, I always thought that certain pieces of jewelry were so magical like mood rings or the necklace from the Never Ending Story. Do you have a piece of jewelry that holds special memories or significance? As someone who makes jewellery, ironically I don't actually wear much. I adore it - I'm always enticed into a shop, or over to a stall by pretty jewellery - I find it almost like miniature artwork. I love rummaging through my jewellery boxes and remembering when I got different pieces, and who I was with at the time. I love collecting jewellery, buying it, making it, finding it - but I tend to hoard it, and display it, and look at it, rather than wear most of it. However I do love wearing a string of pearls, as they instantly add a little retro-ness to any outfit, and I wear a little silver ring everyday, as it was given to me by someone special. Speaking of childhood memories, I really love the whimsical elements that you use in your designs! What is your favorite piece that you have created so far? 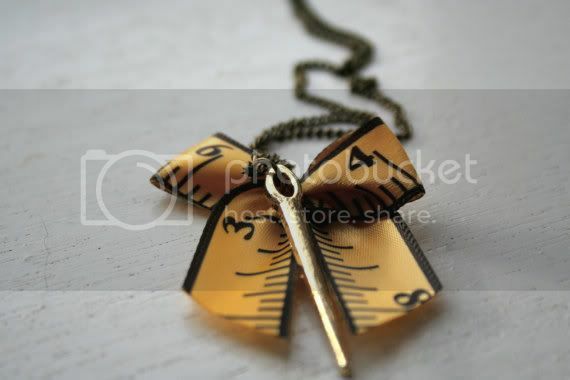 I think my favourite would have to be my tape measure/sewing necklace made from a yellow tape measure ribbon, gold needle and bronze chain. It symbolizes crafting and making things, whilst being a piece of jewellery itself. When you're not making jewelry for Goodnight Boutique, you're blogging and playing in your band, Goodnight Astor. Do you have to make time for all of your creative outlets or do you go with the flow of your inspiration? Ever since I can remember I've wanted to do something creative. My business and my band are a perfect outlet of this. At the moment I'm lucky to be able to do them both full time, and channel all my energy, and ideas, into them. I hope this can continue for as long as possible as they're what I love doing! Sometimes when you turn your artistic passion into a business, it can take the enjoyment out of what you love to do. Do you have any advice for artists on how to keep it fun? I think it's important to always think back to why you started making things - because you enjoyed it. Every now and then I like to make some jewellery for myself, or for a friend, so that I can make things without the pressure of knowing that it's for a costumer and has to be perfect. I also like to indulge in artistic aspects that wouldn't necessarily fit in with my business - like painting. 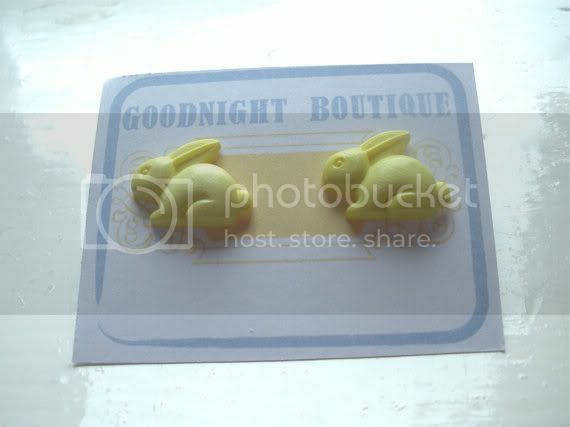 Enter the giveaway to win a $10 gift certificate to Goodnight Boutique. Brittany, such a great giveaway! She has great style! 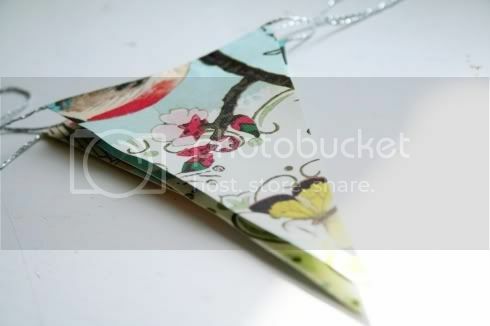 My favorites from her shop are the London themed paper buntings, and the London Bus Necklace. I love the new design of your blog! The apple earrings are so cute! There is a lot of cute things on her Etsy shop. 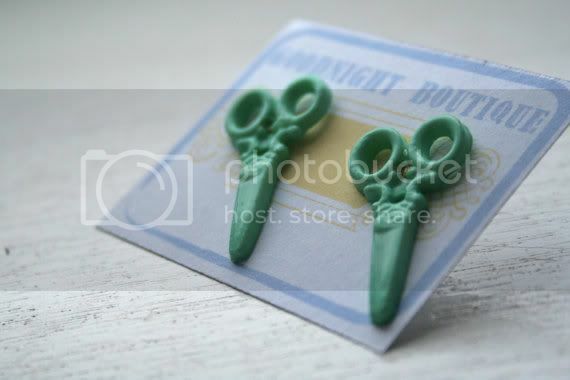 I really like the Scissor Earrings Cute Earrings Plastic Studs. Ooooh! Fab giveaway! What lovely items! Agonized what to pick for ages! 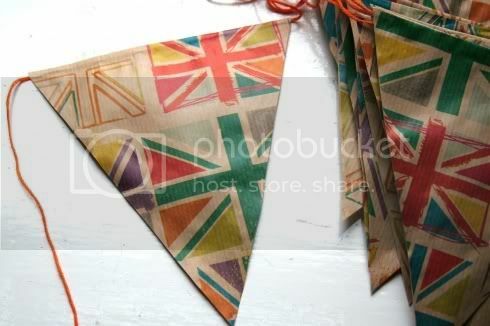 I think I would buy all the Jubilee themed items, the grammophone earrings and the button earrings! 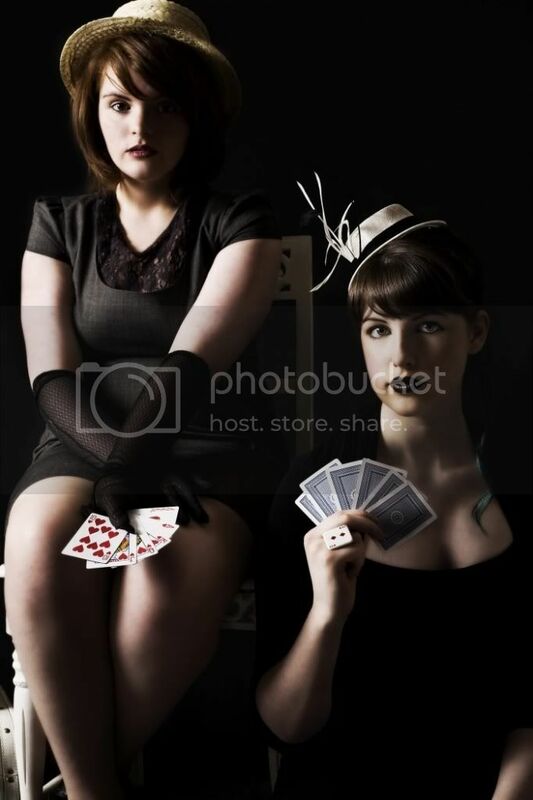 I also liked them on facebook so this is my extra entry I suppose! I'm a big fan of VW Beetles, so I love the Beetle necklace. I also love the London bus one, though! I just found your blog.. I love it! Such a cute shop! I adore the little apple earrings and the scissor earrings. I always enjoy your wonderful interview posts so very much, dear Brittany, whether they're focused on a blogger or sponsor, and in the case of the latter today, it's the darling little camera necklace (http://www.etsy.com/listing/94789413/camera-necklace-cute-necklace) from amongst her lovely offerings that I'm favouring most. I love the hand earrings. Cute shop! Found your site after googling how to do vintage eyebrows. Cheers for the tips on that. I like the Safety Pin Necklace, it's ultra cute. My word, it's impossible to pick one favorite! The union jack rings, the sewing machine earrings, all the tiny keys! *v* Fabulous. I shall away to the facebook page right now. I'm following you via GFC, and my favorite item is the doll's house necklace. I'm not known for being lucky, so I've also liked your FB. I also followed their shop on FB. I love the little Craft Scissor earrings. I'm in love with the penguin earrings! I'm a sucker for anything penguin! Following via GFC and I love the cat ring.